In the context of the science versus creationism debate, Elizabeth Watts thoughtfully explores Buddhism as a model of compatibility between science and religion, and as inspiration for the pedagogical potential of mindfulness practices to promote student receptivity to scientific views of evolution. However, Watts focuses on modern Buddhist movements in the West that seek to align with rational scientific, materialist worldviews. To expand the dialogue, I focus instead on the tradition of Mahayana Buddhism, and discuss ways that Mahayana Buddhist and scientific views conflict rather than cohere on their onto-epistemological and axiological grounds and on specific points of evolutionary theory. Further, I argue that the history and doctrines of Buddhism reflect and allow for a multilogicality (Kincheloe in The power of difference in knowledge production: multilogicality in the bricolage and postformalism, 2007) or pluralism of views and ways of knowing, and that the drive to modernize Buddhism by erasing its differences from Western science has resulted in a loss of its characteristic pluralism and axiological commitments. 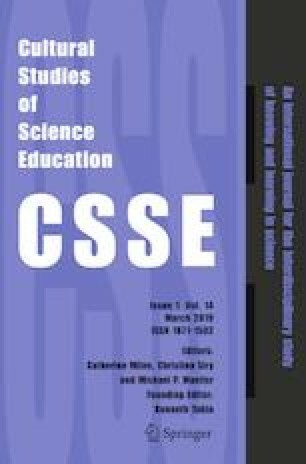 Therefore, in considering Watts’ proposal for engaging secularized mindfulness practices in the evolutionary science classroom, I suggest a return to an understanding of their traditional basis in commitments to generating compassion and care, and a re-valuing of multilogicality and difference in teaching and learning; only then will we truly enrich and support the understanding and receptivity of all students to evolutionary science. This commentary is a response to Elizabeth Watt’s study entitled: In search of a better means of increasing student receptivity to science: a look at American Buddhists and their disproportionately high acceptance of the theory of evolution. https://doi.org/10.1007/s11422-018-9895-8. En el contexto del debate de la ciencia frente al creacionismo, Elizabeth Watts ha explorado cuidadosamente cómo el budismo puede ser un modelo que hace compatible la ciencia y la religión y cómo puede servir de inspiración pedagógica a la hora de practicar la atención plena, para promover que los estudiantes sean receptivos a los supuestos científicos en los que se basa la evolución. Sin embargo, Watts se centra en los movimientos budistas modernos que se practican en Occidente, alineados con las cosmovisiones científicas racionales y materialistas. Para enriquecer el diálogo, me concentro en la rama mahayana del budismo, y examino las maneras en que la escuela mahayana y la visión científica, lejos de ser compatibles, entran en conflicto en sus fundamentos ontoepistemológicos y axiológicos y en cuestiones específicas de la teoría de la evolución. Además, sostengo que la historia y las doctrinas del budismo reflejan y hacen posible una multilogicidad (Kincheloe in The power of difference in knowledge production: multilogicality in the bricolage and postformalism, 2007) o pluralismo de puntos de vista y formas de saber, y que el intento de modernizar el budismo eliminando sus diferencias con la ciencia occidental ha tenido como consecuencia una pérdida de sus compromisos axiológicos inherentes. Por lo tanto, en mi análisis de la propuesta de Watts de introducir prácticas secularizadas de atención plena al tratar la evolución en las clases de ciencias, propongo que se les devuelva y se comprenda su base tradicional como compromiso de generar compasión y cuidado por los demás, y que se reevalúen la multilogicidad y la diferencia en la enseñanza y el aprendizaje; solo entonces ayudaremos verdaderamente a todos los estudiantes a comprender y aceptar de modo enriquecedor la ciencia evolutiva. Garfield, J. (n.d.). Buddhism and modernity. Retrieved November 16, 2018 from https://jaygarfield.files.wordpress.com/2014/01/garfield_buddhism_modernity1.pdf. Kincheloe, J. (2007). The power of difference in knowledge production: Multilogicality in the bricolage and postformalism. Retrieved on December 8, 2018 from http://freireproject.org/wp-content/critical_pedagogy_reading_room/CP_research/BeyondReductionism.doc. Magee, R. (2015). How mindfulness can defeat racial bias. Retrieved November 16, 2018, from https://greatergood.berkeley.edu/article/item/how_mindfulness_can_defeat_racial_bias. Pew Research. (2012). The global religious landscape: A report on the size and distribution of the world's major religious groups as of 2010. Retrieved on December 8, 2018 from http://assets.pewresearch.org/wp-content/uploads/sites/11/2014/01/global-religion-full.pdf. Zimmer, C. (2018). The famine ended 70 years ago, but Dutch genes still bear scars. The New York Times. Retrieved from https://www.nytimes.com/2018/01/31/science/dutch-famine-genes.html.